The never-before-told story of Pixar's rocky start and improbable success. "Hi, Lawrence?" the caller asked. "This is Steve Jobs. I saw your picture in a magazine a few years ago and thought we'd work together someday." After Steve Jobs was unceremoniously dismissed from Apple in the early 1990s and was struggling with NeXT, he turned his attention to a little-known graphics company that he owned called Pixar. One day, out of the blue, Steve Jobs called Lawrence Levy, a Harvard-trained lawyer and executive to whom he had never spoken before. He hoped to persuade Levy to help him pull Pixar back from the brink of failure. Because movies like Toy Story, Finding Nemo, and Monsters, Inc., are now considered modern-day classics, it's hard to remember just how turbulent Pixar's first years were. But when Lawrence Levy was recruited by Pixar chief Steve Jobs in 1994, the animation studio was bleeding cash. What Levy found was a company on the verge of failure. Unique structural challenges seemed to block any easy avenue to taking the company public, and a skeptical staff eyed their enigmatic boss with mistrust and resentment. To Pixar and Beyond is the extraordinary story of what happened next: how Steve Jobs and Lawrence Levy concocted and pulled off a highly improbable plan that transformed Pixar from a money-losing graphics company into a multibillion-dollar Hollywood entertainment studio. 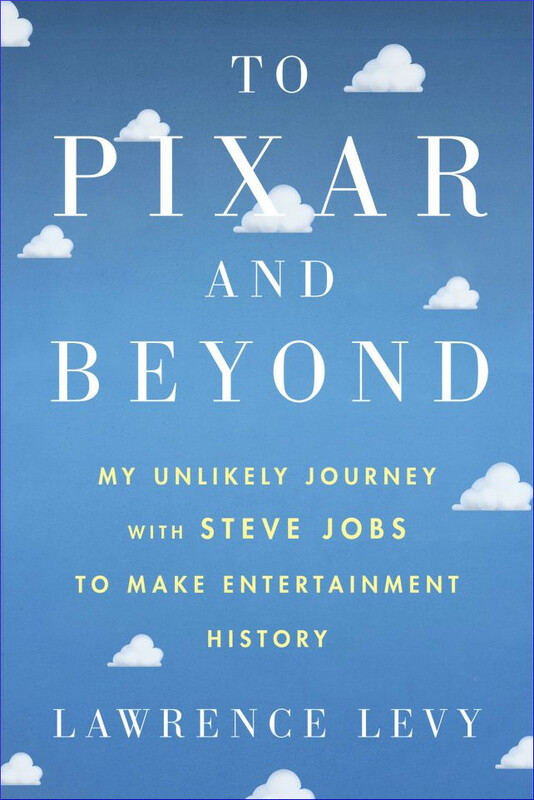 In what reads like an IPO thriller, Lawrence Levy, who served as the struggling company's chief financial officer, details both his professional and personal journey in To Pixar and Beyond: My Unlikely Journey with Steve Jobs to Make Entertainment History. Set in the worlds of Silicon Valley and Hollywood, he takes you inside Pixar, Disney, law firms, and investment banks. It provides a masterful, up-close, firsthand account of how Pixar rose from humble beginnings, how it made creative choices, what it was like to work so closely with Steve Jobs, and how Pixar's story offers profound lessons that can apply to many aspects of our lives. Lawrence Levy is a former Silicon Valley attorney and business executive who was personally recruited by Steve Jobs in 1994 as CFO and member of the Office of the President of Pixar Animation Studios. He was responsible for Pixar's business strategy and IPO and later joined Pixar's board of directors. He left corporate life to study Eastern philosophy and meditation and their relevance to modern life, and now writes and teaches on this topic. Originally from London, he earned degrees from Indiana University and Harvard Law School, and lives in Palo Alto, California.